The Internet is full of great advice about how to sell a book, but what about after the sale? When my first book came out, I found it was surprisingly hard to find answers to some basic questions. Like most authors, I learned most of the answers through trial and error. And so in anticipation of the launch of my new novel, The Night Gardener, I’ve decided to write down everything I learned so I don’t make the same mistakes twice! AFTER THE BOOK DEAL is a month-long blog series detailing the twenty things I wish someone had told me before entering the exciting world of children’s publishing. Each weekday from now until MAY 20, I will be posting an article on a different blog. Many of these sites will also be doing Night Gardener giveaways, so please follow along and spread the word! WEEK ONE: Before Your Book Comes Out 4/21 - Finding Your Tribe: entering the publishing community 4/22 - Do I Really Need a Headshot? : crafting your public persona 4/23 - I Hate Networking: surviving social media 4/24 - A Night at the Movies: the ins and outs of book trailers 4/25 - Giveaways! ... are they worth it? First time writers don't sell books based on partial drafts or outlines. They sell finished manuscripts. And there are a lot of finished manuscripts in the world. That means the first step is completing a book and revising it until it is airtight. Don't expect an agent or editor to look at a sloppy manuscript and see the potential--that same agent or manager has hundreds (not an exaggeration) of other manuscripts to consider, and they'll take the one that demonstrates the greatest professionalism and craft. Taking an example from my first book, Peter Nimble, I did about 15 complete re-writes before showing it to an agent ... and then did another 3 drafts before the book went to an editor. I have yet to talk to a professional author who didn't go through the same level of revision before finding a publisher. The "Society of Children's Books Writers and Illustrators" (SCBWI) is a national organization with local chapters all over the country. This group is a fantastic place for both professional and aspiring writers and illustrators to gather and discuss craft and business of children's publishing. The annual conferences are often attended by agents and editors who are looking for new books. I have a number of author friends whose careers were launched when they met an editor at an SCBWI event who requested to see their really good manuscripts (see above point). If a lot of industries, the "it's who you know" rule applies. Not so in publishing! Book agents read and consider manuscript submissions from unknown writers all the time--that's their job. Nearly every writer I've ever met was pulled out of the "slush pile" from an agent who discovered them. Your job is to query agents who will best understand your work and be in a position to sell it. This means doing a bit of homework, by reading the Writer's Market and finding agents who are looking for material like your book. The internet is awash with resources about how to approach agents. A good place to start might be Kidlit.com, a website run by children's book agent Mary Kole. She answers questions about the dos and don'ts of querying better than anyone! Recently, both my designer and cover artist have posted blog pieces talking about the process of making the Peter Nimble cover. Illustrator Gilbert Ford walks through the process on his blog, including showing an early idea for a die-cut cover with psychedelic eyes! Abrams designer Chad Beckerman continues the conversation, talking not only about the illustration ideas, but also the process behind settling on a typeface and selecting paper/foil for the hardcover casing -- definitely worth checking out! After a brief and incredibly productive hiatus, I'm back in blogger mode![1. While I cannot promise that I will never take breaks from blogging, I can promise that I will only take breaks in order to write new books for you to read -- as was the case this month.] 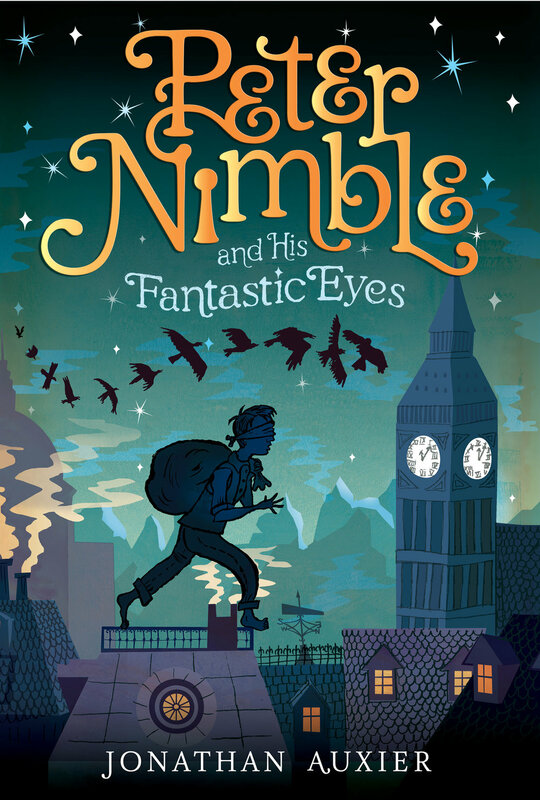 This last week was an exciting one, as it officially marked the debut of Peter Nimble. Well, pre debut. For many years, I have considered myself too cool for name tags. In the same way that I refuse to run across busy streets (why run when you can walk slow and scowl? ), I also refused to wear name tags. This changed at ALA. As I was about to pocket my name tag, a woman beside me saw it and exclaimed "You're taller than I thought you'd be!"[3. I get this a lot. Apparently I look short in my headshot.] This woman was author Jo Whittemore, and she promptly introduced me to the Texas Sweethearts author clan. Within seconds, I was on my way to lunch with a half-dozen YA novelists who had plenty of good advice for a nervous newbie. That never would have happened without the name tag. I also noticed that wearing a name tag seems to improve conversation. I forgot to wear it to a few events, and those were the same events where small talk stayed small -- never really moving beyond "Where are you from?" and "Oh, the humidity!" I realize now that the purpose of a name tag isn't to help identify yourself on a handshake, but to help five minutes after the handshake. It allows the person talking to you to casually glance down and remind themselves who you are ... and the less time they spend thinking "What's his name again?" the more time they can spend actually having a real conversation. I had a chance to to talk with a number of authors and illustrators about how their careers started. More than a few of them had published in obscurity for years before hitting it big. Some were trapped on the midlist. Others had their aquiring editors change jobs, leaving their books orphaned at the house. A few were even dropped outright. This really hit home when I heard Brian Selznick talking with Horn Book editor Roger Sutton. He alluded to a frustrating period during which he could only get hired to draw biographies of dead presidents. From that dark period came Hugo Cabret -- a book that changed both his career and (arguably) children's literature. This was but one of probably a dozen stories I heard with the same trajectory. This is a good reminder for me as I'm about to send a book I love out into the world. This industry can be a real crap shoot. Sometimes great books can fall through the cracks. Sometimes terrible books are huge hits. The key thing for a writer is to keep believing that the greatest story they will ever tell has yet to be written. Related to the above lesson, I noticed how much of an impression it makes when a successful author hasn't lost sight of the fact that they were once merely aspiring. This lesson was perfectly illustrated when I had the privilege of eating dinner with Abrams authors Tom Angleberger and Jeff Kinney.[4. Tom's kindness to me on this trip cannot be understated -- he is truly a Gentleman among men.] Jeff is a HUGE author. He's pretty much ruled the publishing industry for the last few years. When he met both Tom and I, he asked us the same question: "What was it like when you got the call saying you were going to be published?" It was clearly a go-to question for him, and one that speaks to his character. For him to ask other authors about "the call" not only graciously indicates that he considers us his peers, but also acts as a reminder that all the Wimpy Kid success he's enjoyed is actually just gravy. The dream-come-true part of his life has nothing to do with bestseller lists, merchandising, or feature films ... it is simply that he got to be published at all. I have a henceforth enacted a "Don't tell Lauren Myracle anything" policy; I would advise you all to do the same. This weekend marked my first ever Peter Nimble signing event! Before the big night, a few experienced authors warned me that signings for debut authors can be humbling -- nobody knows you, so why would they want to wait in a line to talk? This is probably true, but none of these authors knew that my publisher had armed me with a secret weapon: free crap! The second day was even better, and we ran out of ARCs after 20 minutes! Even after the books were gone, people were running up to the booth asking about the eyeball bags. Never again will I doubt the power of SWAG. Speaking of, for those of you who missed out on scoring a free copy of the book, know that I will be doing a ton of Peter Nimble giveaways this month, so stay posted! Hasta La Vista, Hardy Boys! When I finished grad school, I took a job as a reading teacher for a company called the Institute of Reading Development. Our curricula were modeled after Dr. Jeanne Chall's stages of reading development. Each stage is fascinating and worthy of discussion, but today I want to focus on stage two: "Confirmation & Fluency." This stage usually spans the 2nd and 3rd grades -- just after readers have mastered phonetics and can now read silently. During these years, their primary mission is exposure: kids simply need to see as many words as possible so that their sight vocabulary can grow to match their spoken vocabulary. If reading development were a video game, stage two would be nothing but grinding. The books children read during this phase are specifically designed to let the brain go on autopilot. They often feature simplistic characters and repetitive plots -- think of The Hardy Boys or Nancy Drew. These are sprawling series books that could be read in any order because, ultimately, nothing ever happens in them.[1. To hear me dump on more of your childhood, click here.] And that's okay; such books provide an essential service to young readers: they deliver a massive amount of unchallenging yet engaging content that equips readers to move on. I think it's appropriate that so many of these series books are mysteries. Mysteries are, by and large, not much fun to read once you know whodunit. Put the two things together and you've got a perfect marriage between form and function. So what does all this have to do with "Unlocking Literacy 2.0?" Well, I tend to wonder whether an e-reader is a perfect device for disposable books -- especially if young readers are able to pay for a subscription service that gives them access to all the Magic Tree House (or Tom Swift or Goosebumps or Boxcar Children) they can handle without burdening them with the physical remainder. Then again, what's the fun of reading a book if you can't put it on the shelf when you're done? That's it for me. If you want to read more about Literacy 2.0, go visit Danielle Smith at There's a Book. Out of just three Dickens books, one was Martin Chuzzlewit. What's the moral of the story? Barnes & Noble is staffed by secret mind readers. Don't feel bad, Borders. No one can compete with that. 1) Betsy Bird just posted a link to a School Library Journal article giving a rundown on the various conversations at the Digital Book World summit. It's worth checking out. 2) A reader, Lisa, asked me how I thought Google Books fit into the piracy equation. I thought I'd take a crack at it here: Presently Google Books does not frighten me. Though their scan-first-get-sued-later approach is worrisome, they seem to be pretty careful about not sharing full documents from the private domain -- only showing what is allowed under fair use laws. (Of course, for older open-domain books you can find the whole texts, which is a boon to scholars and society alike[1. 1. I firmly believe that after an appropriate amount of time, those texts are the property of society and should be freely available to anyone (I'm talking to you, Disney)].) Even if Google Books went evil, I still wouldn't worry too much about them; the second they start giving away copyrighted material, every publisher in the world will start suing. Rather, my fears of piracy are all connected to the file "sharing" model in which individuals are the perpetrators. When file sharing becomes normal for books, there will simply be too many complicit in the crime for publishers or authors to protect themselves. 3) Speaking of file sharing, a good friend of mine, Kirby Fields, recently wrote an amazing article for Pop Matters magazine that chronicles his own life as a file sharer. It's more of a memoir than an opinion piece ... he takes us from his childhood recording jingles off the TV to his adult days swapping Mp3's. It's an engaging, slightly nostalgic look at piracy. Go read the piece -- then give Kirby a book deal. UPDATE: Author and friend Ernessa T. Carter left a really great rebuttal to my "books aren't CDs" argument in the comments section ... check it out here. E-Books round 2: Run For Your Lives! Yesterday, I talked a bit about some e-book fears that no longer worry me. Today, I'd like to talk about one outstanding issue that does frighten me. A lot. We already discussed a few ways in which publishing shouldn't be compared to the music industry, but there is one aspect where the comparison does work: piracy. Book piracy is nothing new. In the 19th century, America had very few rights protecting authors. Charles Dickens famously made a personal crusade out of slapping the wrists of adoring fans who had purchased unlicensed copies of his books. Even back then, American readers were incredulous: We gave you fame! Why are you complaining about money? I think this attitude is coming back with the younger generation [1. 1. said the cranky old man in his late-20's]. 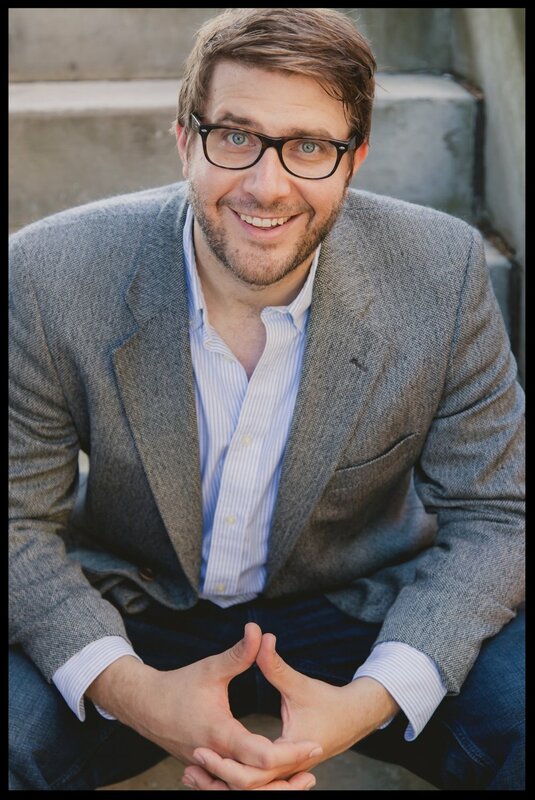 Screenwriter John August recently posted a link to composer Jason Robert Brown's website, in which Brown documents a debate he had with a teenager girl who was pirating his music. The conversation is fascinating and infuriating. You should go read it right now. I'll wait. Are you back? Are you terrified? For those writing MG and YA fiction, "Brenna" is our readership; her opinions on the subject are ones that will directly effect our ability to provide for ourselves and our families. After reading that exchange and many others like it, I spent a few days being consumed with fear. So far as I can tell, it is an issue that no one in publishing wants to deal with. At ALA last month, I talked to a number of people in publishing who were all about e-books. Publishers are more than happy to speculate about how these devices will "change" their industry ... but no one seemed willing to engage on the subject of piracy. The most I could get was some quiet muttering about DRMs ... as though this technology could somehow protect books where it had failed with software, music, and movies. It is unrealistic for publishers and authors to rely on tech companies to protect their interests. The fact is: Apple and Amazon will only protect the rights of authors for as long as it is profitable -- because making profit is what businesses are designed to do. Similarly I think the ideological battle against a culture of piracy is un-winnable. Too many people in our culture have already bought into the "information wants to be free" philosophy[2. 2. Malcom Gladwell has a very engaging book review on this subject here]. The problem with the “information wants to be free” model is that it’s not capitalist. It’s a great model ... in a world where artists and thinkers are not expected to live off profits from their ideas. But that would require substantial support from the government or private benefactors[3. 3. Let it be known that I am open to patronage; all interested rich people should contact me through the comments box.]. Until that happens, though, the government has a responsibility to enforce the rights of content creators. Which they don’t do. So where does that leave content creators? 1) Reading an e-book isn't reading! This objection is pretty much limited to young readers. The fear seems to have been sparked by two recent newspaper articles about the rise of "enhanced" picture books[1. 1. The first was a New York Times piece discussing troubling trends in the sales of picture books; A few weeks later the Wall Street Journal wrote a piece about how publishers are poised to start creating "enhanced" picture books for e-readers.]. Many people have wondered whether these e-books are really be more like video games or cartoons than books. Illustrator and artist Meghan McCarthy wrote a great piece on her blog talking about how the "enhanced" edition of P.D. Eastman's Go, Dog. Go! makes a point of not showing words at key points of the story -- creating an experience that is not much different from watching television. I agree with her comparison, but not so much her conclusion. I do not think that these e-books present a new challenge to literacy. Converting picture books into television has been going on for decades ... just ask LeVar Burton. Millions of children (myself included) watched Reading Rainbow and still learned to read. As with television, this is much more a question of parenting than publishing: the same kids who are allowed to watch too much TV are the same ones at risk of "reading" too many enhanced books[2. 2. which begs another question: who the heck lets their five year-old have an iPad?]. 2) There's just something better about ink on paper! I wholeheartedly agree with the above statement -- no glowing screen will ever compare to the look, feel, and smell of words on a physical page. That said, I think e-books have some very real advantages over traditional books. Not only are they more portable and ecologically responsible, but features like searchable text, instant definitions, hyperlinks, and clickable footnotes give them an undeniable edge[3. 3. Just ask any undergraduate English student forced to slog through Chaucer one word at a time ... not that I'm still bitter or anything]. For society as a whole, e-books are without question the better path forward. So where does that leave us physical book lovers? I think that in the future, people who buy and read physical books will be very similar to people who listen to music on vinyl today. There is still a market for vinyl records, but it is a smaller one that is limited to collectors and fetishists. Frankly, I'm okay with that. 3) E-books will destroy the publishing industry! In the above scenario, the future of physical books looks suddenly brighter. In fact, it's Amazon and Apple who need to fear what's to come. The Kindle and iPad will inevitably be replaced by something newer. Physical books, however, will remain unchanged ... as they have for over 600 years. So that's three e-book fears allayed. This post was largely me talking myself off a ledge. Feel free to let me know why I'm wrong, or any other points I may have missed. Tomorrow, I'll be taking the other side of the debate and discussing the one looming change that I do think could destroy publishing. Until then . . .
UPDATE: you can read my followup post here. If my casual google search for "penguin canada, lynne missen" is correct, this news has yet to hit the internets ... UPDATE: a smart reader (read: my mother) observed that the press release is marked "January 20, 2010." I'm pretty sure that's a typo, but if not then I'm actually the LAST person to learn this news. Which would be par for the course. Toronto, January 20, 2010 … Nicole Winstanley, Publisher, Penguin Canada, announced today that Lynne Missen will take on the role of Publishing Director, Penguin Canada Young Readers, effective January 31st. Missen will take responsibility for the publishing strategy and editorial direction of Penguin Canada’s illustrated children’s, middle grade and young adult titles; including brand and licensed properties. Lynne Missen has been editing books for over twenty years, and children's books for the past thirteen. In 2002, she joined HarperCollins Canada as children's book editor and was promoted to Executive Editor, Children's Books, in 2004. 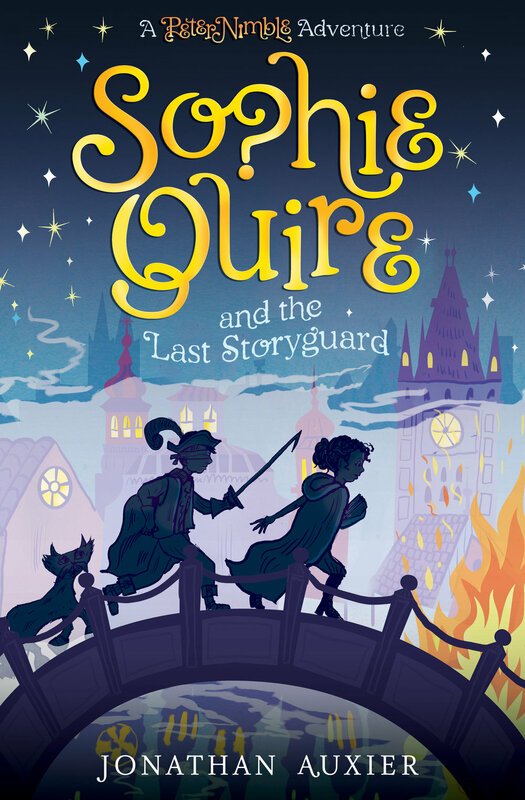 Lynne has worked with bestselling and critically acclaimed authors such as Kenneth Oppel, Susan Juby, Eric Walters, Arthur Slade, Kit Pearson, Helen Dunmore, John Marsden, and Lemony Snicket. The authors on her list have won numerous awards, including the Governor General's Award for Children's Fiction, the TD Canadian Children's Literature Award, the CLA Young Adult Book Award, the Saskatchewan Book Award (young adult), the Arthur Ellis Award (Juvenile Fiction) and many children's choice awards. She has been nominated for the Libris Editor of the Year Award three times in the past five years. Missen will oversee the highly anticipated publication of Lesley Livingston’s Once Every Never in July 2010. In the novel, Livingston, the critically acclaimed author of Wondrous Strange, introduces Clarinet Reid, a typical teenager who unknowingly carries a centuries-old Druid Blood Curse in her veins. With a single thoughtless act, what starts off as the Summer Vacation in Dullsville spirals into a deadly race to find a stolen artifact, save a Celtic warrior princess, and right a dreadful wrong that happened centuries before Clare was even born. She will also shepherd Peter Nimble and His Fantastic Eyes, by Canadian screenwriter Jonathan Auxier (for publication in Fall 2011); Queen of Pyres, an epic series inspired by India’s swayamvara ritual, a sorcerer king and the reincarnation of his seven deadly queens; and The Wildlings, a three book series from Charles de Lint, to Canadian readers. I should also add that she once edited a fine collection of Canadian ghost stories that included a piece from my favorite adult author, Robertson Davies (among others). Welcome to the Penguin family, Lynne! As some of you know, I attended my first ever American Library Association (ALA) conference this weekend in San Diego. I'd been warned that the Midwinter conference is more about closed-door awards deliberations than hobnobbing. Still, there was some hobnobbing. Another highlight included getting drinks with Travis Jonker and John Schu, both of whom were kind enough to meet with a total stranger and give sage advice about how to run a book blog. The other thing they did was talk about all the exciting free books they had gotten while wandering around the floor. This led to me spending several hours, shuffling between booths, trying to figure out the difference between a free book (called an "ARC") and a not free book (called a "Stop, thief!"). At the end of the day I had collected exactly zero ARCs. Why? Because I am a big chicken. During an event titled "A Special Afternoon with Neil Gaiman and Nancy Pearl," Mr. Gaiman spoke of the English as having "a pathological fear of public embarrassment."[2. 2. In this same conversation Mr. Gaiman said a number of interesting things about his novel The Graveyard Book, which I plan to address in a future post] I'm pretty sure that characterization extends to Canadians as well. At least it applies to me, which explains how I spent five hours in the Land of Free Books without getting so much as a brochure. On the following day, I forced Mary to join me so she could gather ARCs on my behalf. Not my proudest hour as a husband. But hey! Free books! The last big event of ALA Midwinter was the Youth Media Awards ceremony, which began very early Monday morning. Sadly, I was unable to attend. I'm told it was a rollicking good time. For a list of winners and honorees, you can check the ALA's twitter feed, or better yet Betsy Bird's lively rundown. Now go away. I've got reading to do.